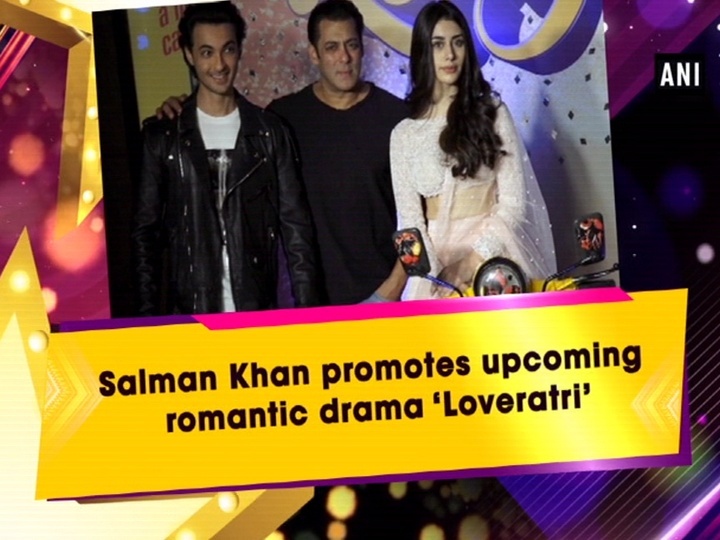 Bollywood superstar Salman Khan along with the cast and director of upcoming romantic drama film ‘Loveratri’ promoted their film in Mumbai. Present at the event, Salman Khan said, “30 years ago, Suraj Badjatya launched me. Whenever you see some new faces and talent and I think they deserve to be launched”. Directed by debutant director Abhiraj Minawala, the film is set in Gujarat against the backdrop of Hindu festival of ‘Navratri’. The film which has been produced by Khan marks the debut of his brother-in-law Aayush Sharma and newcomer Warina Hussain. Salman Khan will also be seen playing a special cameo in the film. The film will release across India on October 05.